I wanted to share this very easy and yummy dish that we often eat, especially on Fridays during Lent. This meal, Seafood Spaghetti, is what I brought to the St. Joseph Feast Day celebration that I recently blogged about. My Aunt gave my family the recipe and it's always a hit! Mix shrimp, clams, white clam sauce together and heat. That's it! This is one of the quickest recipes I have and it's one of my family's favorites! Please join Lynda, Anna-Marie and myself for March's No Ordinary Blog Hop (NOBH). 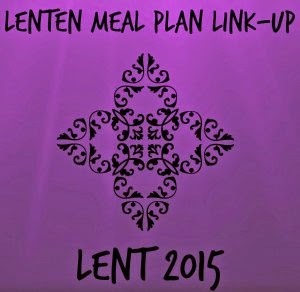 You can link up any or all your posts for the entire month of March. The blogger with the most posts will be awarded a Star Blogger Award. This dish looks great! I can't wait to try it! Thanks for sharing. I am always looking for something meatless for Friday's. I have been doing lots of eggs, and bean soups. This will be a great addition to our meals. Have a great day! I clicked a vote for you. That looks really good. I'll have to try this one out. I hope you get to try out the recipe! It really is easy and good! :) Have a blessed day! Let me know how you like it if you end up making it :) Thanks for stopping by and commenting! Thanks Anna-Marie! I hope you had a good one as well! I'm always looking for more seafood recipes-will definitely try this! Great "phasejumper"! Hope you enjoy it as much as we do! Thanks for stopping by and commenting! What a great, yummy meal! Pasta + clam sauce...can't get better than that!